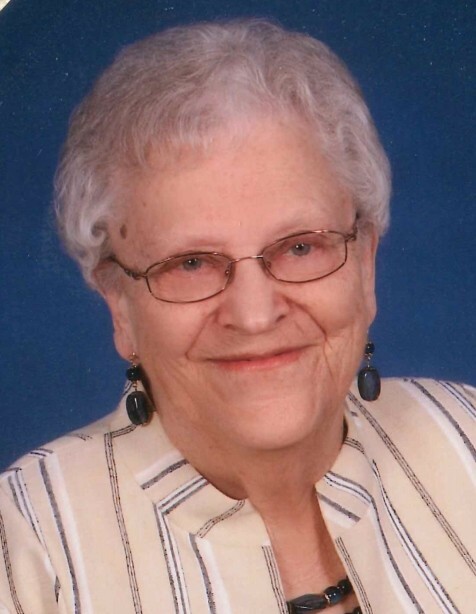 Eileen J. Pursley-Kraeft (Wilson), age 94 of Mt. Orab, Ohio died Saturday, August 18, 2018 at the Ohio Valley Manor Nursing and Rehabilitation Center near Ripley, Ohio. She was a clerk for Long’s Grocery Store, a member of Daughters of the American Revolution, Wilson Sroufe VFW Post #9772 Ladies Auxiliary, the Order of the Eastern Star Chapter #514 in Mt. Orab, Ohio, a member of the Mt. Orab United Methodist Church, a Sunday school teacher, a former President of the PTA and a Den Mother of Cub Scouts. Eileen was born March 5, 1924 in Mt. Orab, Ohio the daughter of the late Wilbur and Ruth (Wood) Wilson. In addition to her parents, she was preceded in death by her husbands - Harold Pursley and Elmer Kraeft; two sons – Charles Pursley and Carl Kraeft; one grandson – Jeffrey Pursley and one sister – Betty Rose. Mrs. Pursley-Kraeft is survived by her son – Don Pursley and wife Jeanie of Mt. Orab, Ohio; three sisters – Wilberta Calvin of Mt. Orab, Ohio, Melba Mounce of Norwood, Ohio and Margie Frazee and husband CR of Cleveland, Tennessee; four grandchildren – Amy Hatfield and husband Larry of Eastgate, Ohio, Michelle McNeese of Bethel, Ohio, Danette Kelch of Mt. Orab, Ohio and Stephanie Scott and husband Doug of Cincinnati, Ohio; eight great grandchildren – Erin Hatfield, Austin Hatfield, Jake Kilgore, Tara Mullins, Nicholas Kelch, Josephine Davis, Katie Scott and Abby Scott; two great great grandchildren – Leo Mullins and McKenna Kilgore and one daughter-in-law – Donna Pursley of Mt. Orab, Ohio. Funeral services will be held at 12:00 P.M. Saturday, August 25, 2018 at the Mt. Orab United Methodist Church, 212 Church Street, Mt. Orab, Ohio. Al Bolte will officiate. Visitation will be from 10:00 A.M. – 12:00 P.M. Saturday, August 25, 2018 at the church with Order of Eastern Star service at 11:45 A.M. Interment will be in the Mt.Orab Cemetery in Mt.Orab, Ohio.